This welcoming home embodies the quality & ambiance of the Preston lifestyle. Who would not love working in the cozy study warmed by the handsome fireplace, hosting dinners in the huge dining room or entertaining on the screened porch? The spacious kitchen sports rich granite counters, a gas cooktop & loads of cabinet space. An immense master suite enjoys seasonal views of the golf course & the bonus w/wet bar, guest suite & 2 more bedrms provide ample space for fun & family. Room for golf cart in garage! Directions: Take High House to Prestonwood Parkway. First left onto Bridle Creek Drive. Make right onto Creek Park Drive and Right onto Turquoise Creek. The home will be on your left. 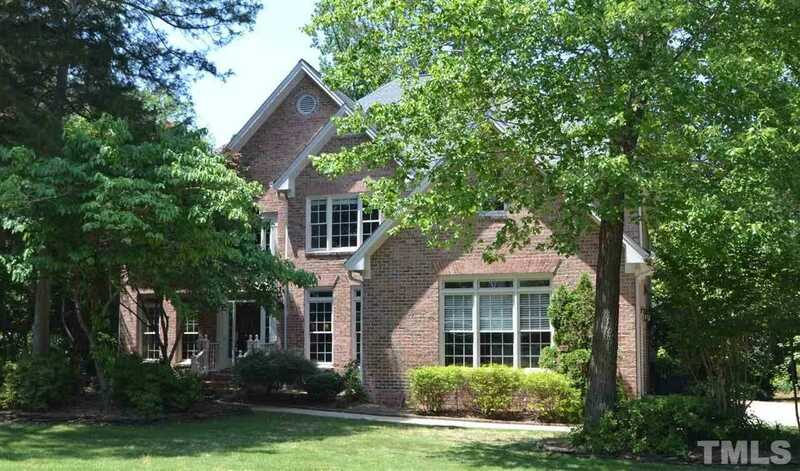 Please, send me more information on this property: MLS# 2243995 – $705,000 – 109 Turquoise Creek Drive, Cary, NC 27513. I would like to schedule a private showing for this property: MLS# 2243995 – $705,000 – 109 Turquoise Creek Drive, Cary, NC 27513.